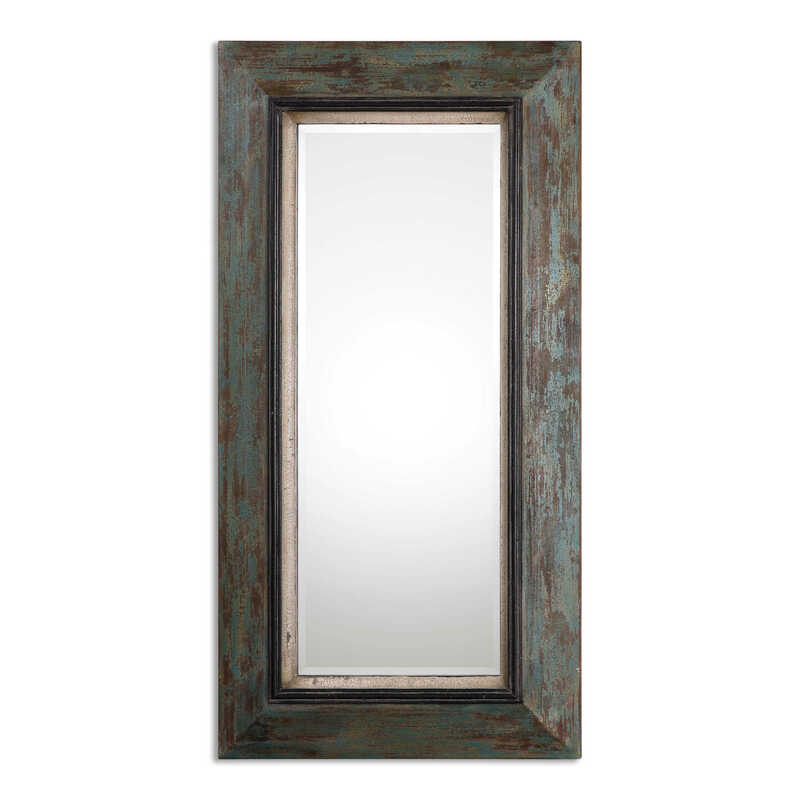 Stately mirror featuring a frame finished in heavily distressed, teal blue and olive accented with aged black middle liner with rust brown undertones and antiqued beige inner edge. 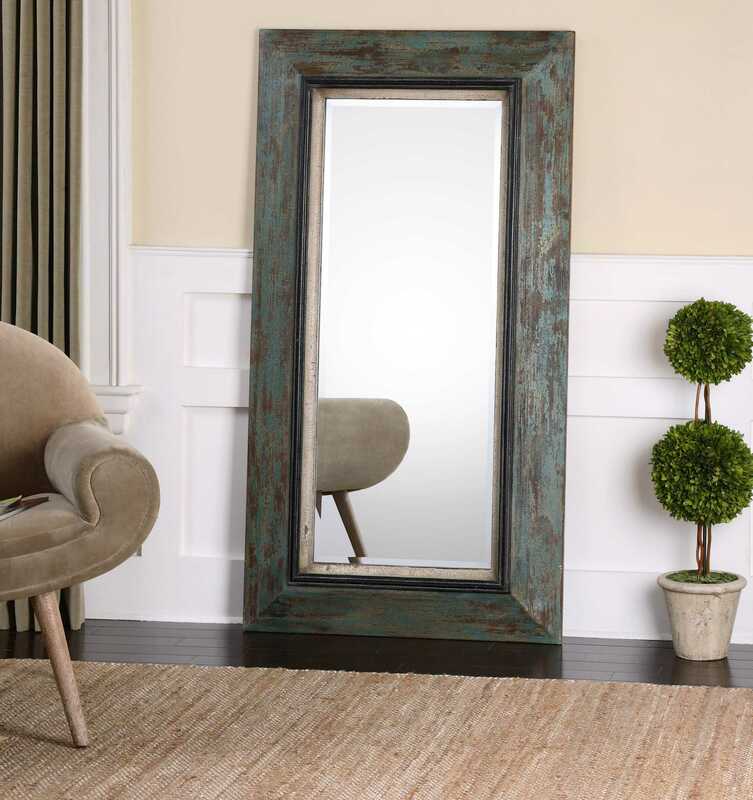 Mirror has a generous 1 1/4" bevel. May be hung horizontal or vertical.